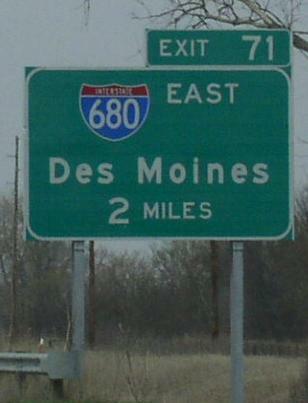 Interstate 680 provides a northern by-pass around the Council Bluffs, IA-Omaha, NE area. 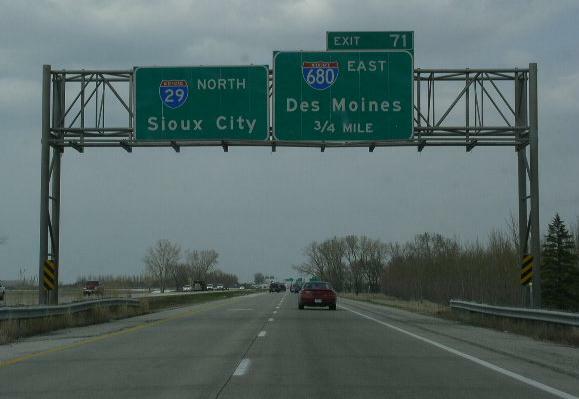 This was originally was Interstate 80N. 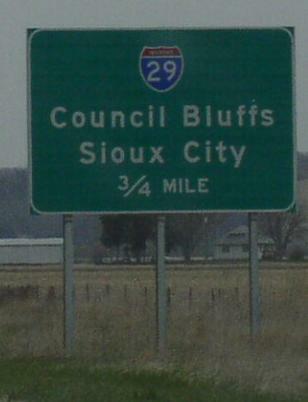 It opened in 1973 and 1977. 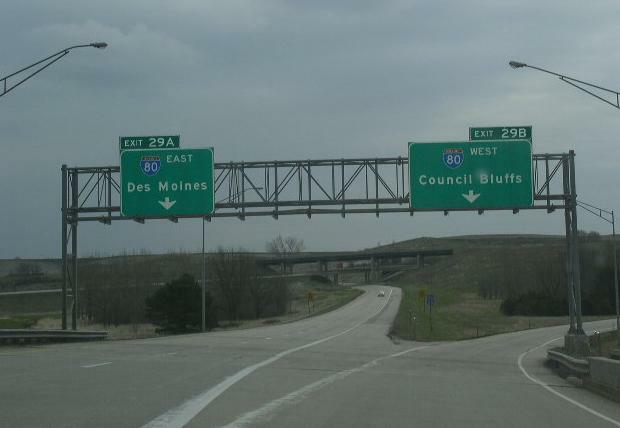 In late 2011 the Missouri River flooded it's banks causing most river crossings from Kansas City north to and into South Dakota to close. 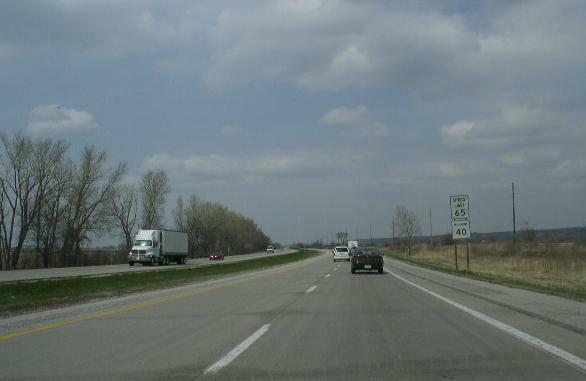 Many road beds were effected, including I-680. 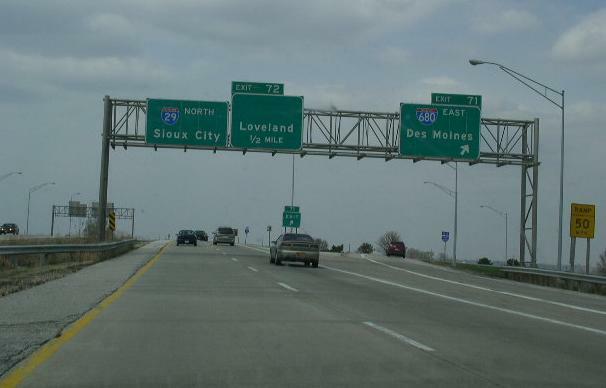 I-680 between the Iowa/Nebraska State Line and I-29 had to be completly re-built. 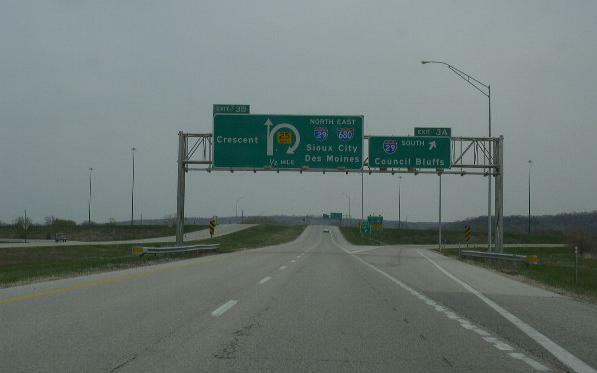 Traffic across the state line were directed to use I-29, I-480, and U.S. Rt. 75 for a detour. 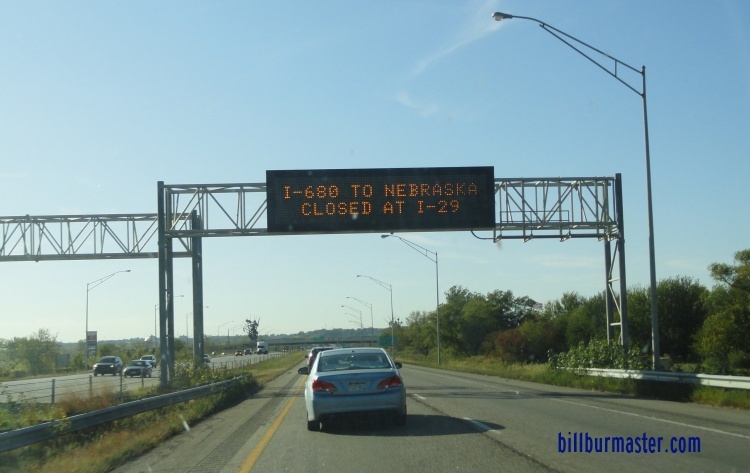 A message board on NB I-29/WB I-80 informing drivers of the closures. 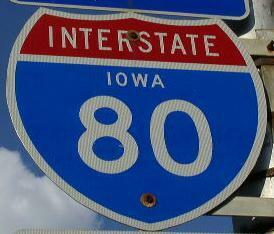 In Iowa, I-680 is multi-plexed. 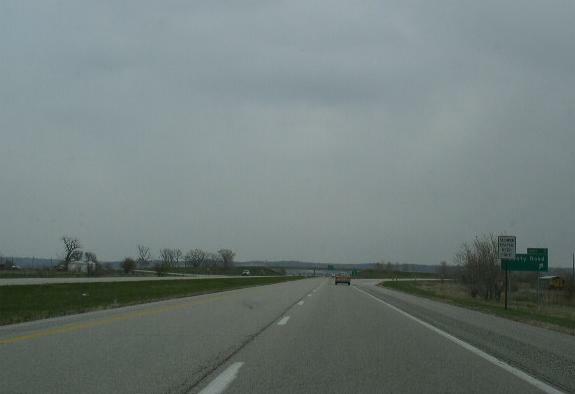 ...Interstate 29, from near Crescent to near Loveland. 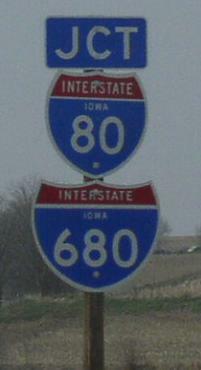 Interstate 680 crosses the following interstates in Iowa. 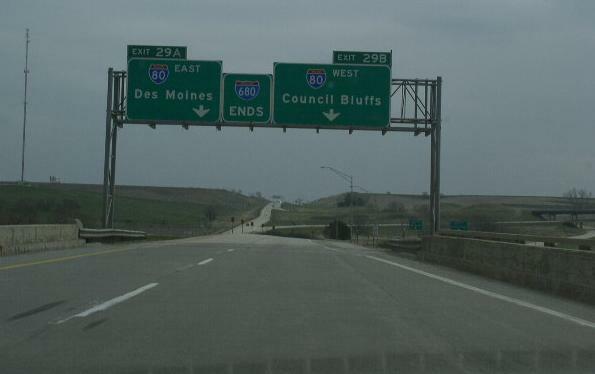 The first BGS on the Iowa side of I-680. 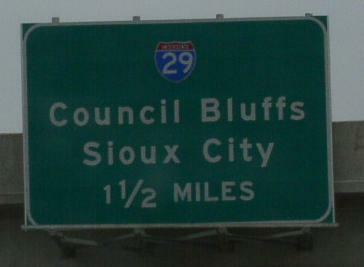 Another BGS on EB I-680. 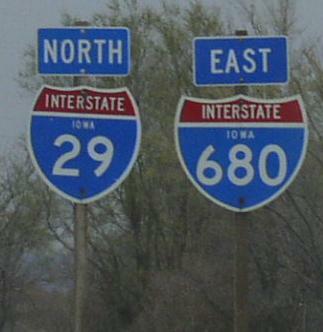 A BGS for SB I-29 on EB I-680. 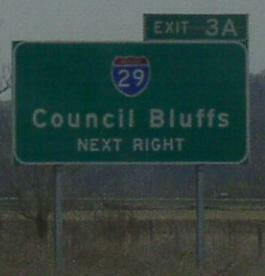 NOTE: the missing direction on the sign. 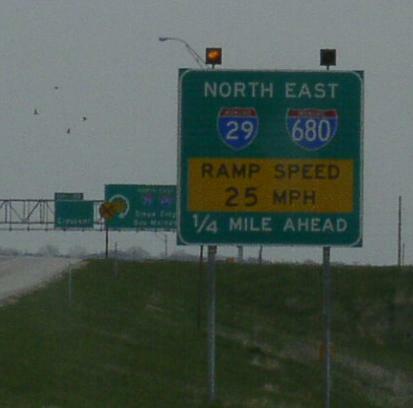 A BGS about the ramp speed on EB I-680. 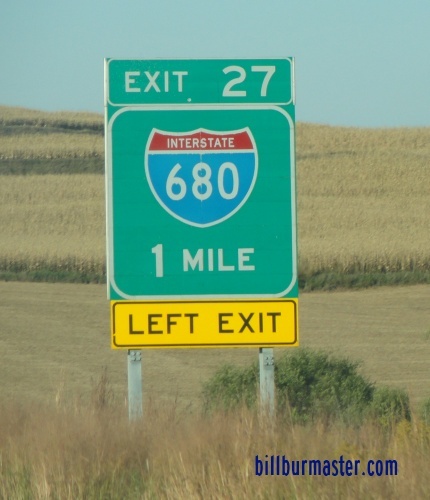 Info on the parent route of I-680. 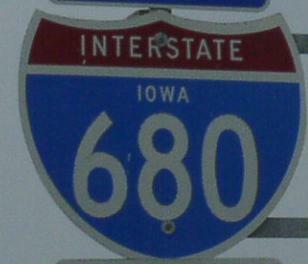 EB I-680 near M.P. 1. 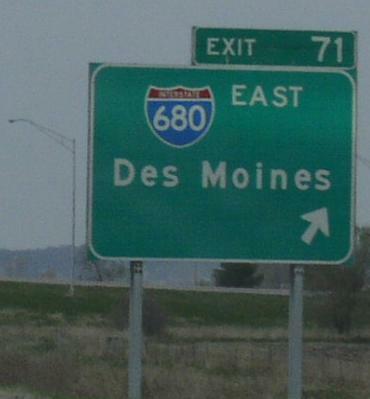 A guide marker to Des Monies. 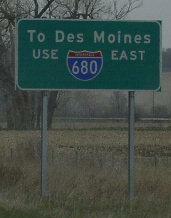 NB I-29/EB I-680 north of Crescent.